The City Library brings you a first in immersive cinema experiences. In 1985 a group of teenagers were thrust together for morning detention in their school library. They began the day as strangers and ended it as the breakfast club. Dress in your best 80s outfit and relive your youth or experience an 80s revival. 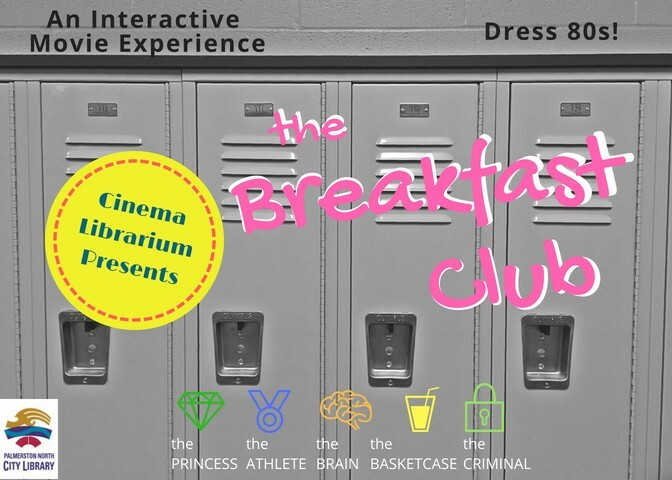 With live actors and interactive elements see this classic 80s coming of age story as you never have before. Rated M. Genre Cinema/Film, suitable for adults only. Cast: Emilio Estevez, Judd Nelson, Molly Ringwald, Anthony Michael Hall, Paul Gleason, John Kepelos, Ally Sheedy, Perry Crawford. Tickets free by prior online registration, limited spaces.